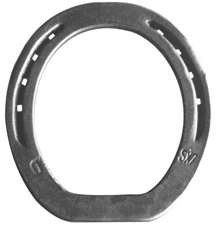 ﻿The SX8 Straight bar shoes are carefully fabricated using the Kerckhaert shoes and the same steel for the bars. Available in a variety of styles, these bar shoes have become the most popular brand in North America. The SX8 is used in a variety of disciplines, especially where strength and good support are required.